Schrade Tomahawk Black | BUDK.com - Knives & Swords At The Lowest Prices! 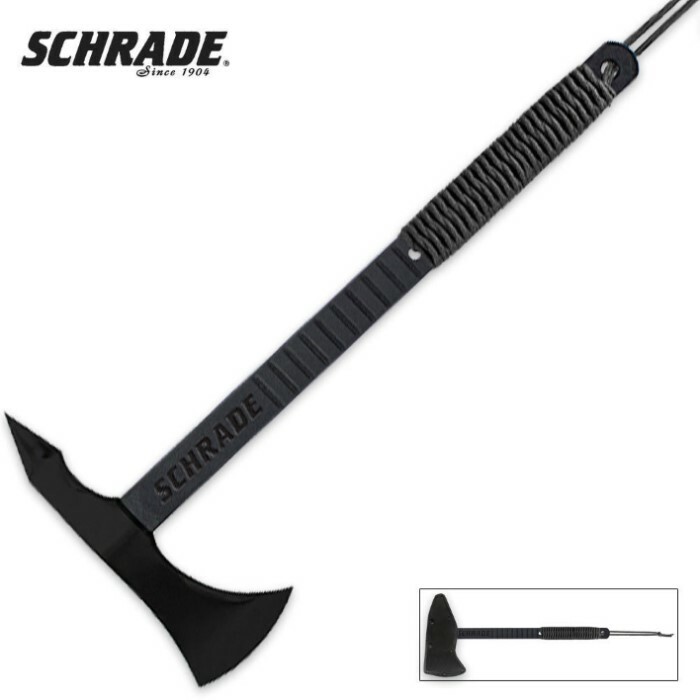 You've never seen a tomahawk quite like this before, and with a name like Schrade, you know you can count on it! The powder-coated 3Cr13 stainless steel head features a sharp blade and back spike for breaching, chopping and prying. The nylon fiber handle slabs feature cord wrappings that can be unwound and used for a variety of purposes.